Blip.fm is internet radio made social. It's easy to search for, play, and discover free music recommended by real people. 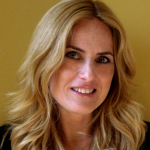 Join today to create your own free station and start listening to @lollydaskal. lollydaskal if i could just see you. everything will be alright and this darkness will turn to light. will you catch me, if i fall? everything will be alright. lollydaskal ...look into my eyes. and you will see. what you mean to me. search your heart. search your soul. and YOU will find me there.